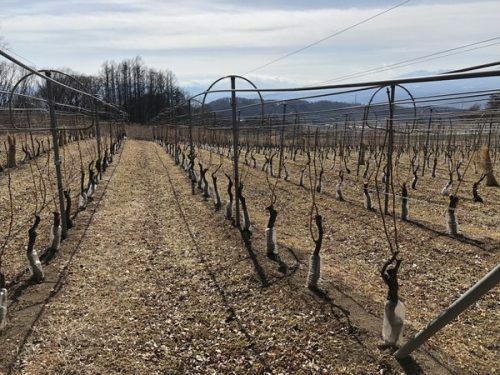 The first winery visit of this year’s Nagano tour was at Gio Hills winery, which is owned by the Tomioka family: Masaki and his wife Yoko, and their winemaker son Hayato. They also own the fabulous riyokan Nakadana-Sou which I stayed at the previous night. 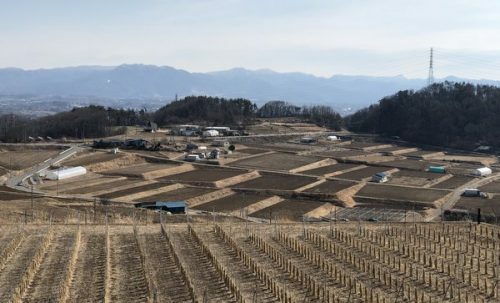 Gio Hills started to grow vines in 2000, and until then Masaki Tomioka had been growing potatoes on his land. 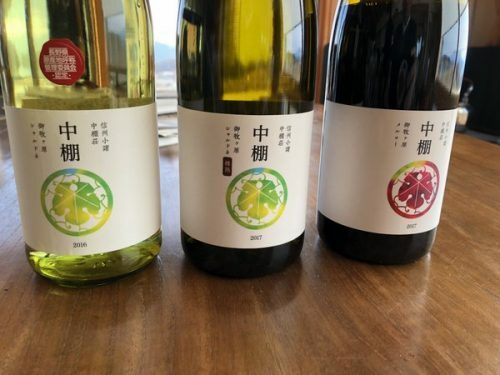 At that time Manns winery were experimenting with Chardonnay at high altitude in Nagano (600 m), but Masaki decided to go 200 m higher. ‘I like a challenge,’ he says. Now they have 2 hectares planted, but so far just 0.5 hectares in production. 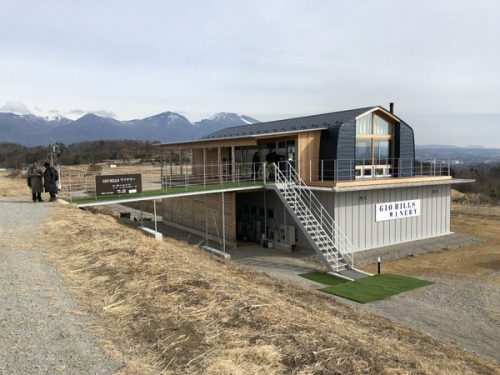 They have just completed a new winery, which has beautiful 360 degree views of the surrounding area, fringed by mountains each side and behind, and looking down the valley to Komoro. 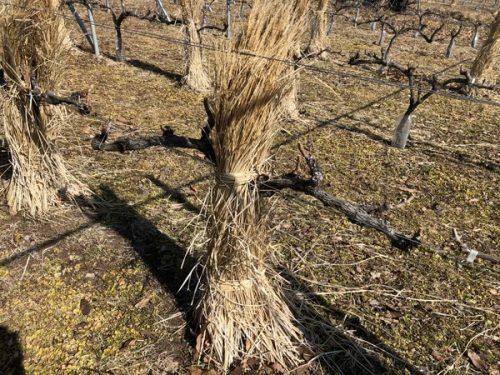 The vineyards are all in close proximity, and are carefully tended. No herbicides are used. Previously, the wines had been custom crushed. 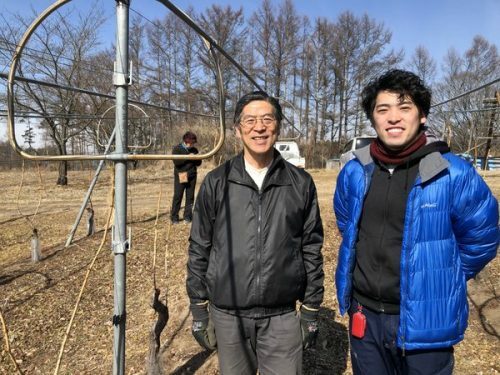 Hayato began making the wines in 2017, and the 2018 is the first in the new winery.